I believe this is a puffball, but I am not sure what kind exactly. 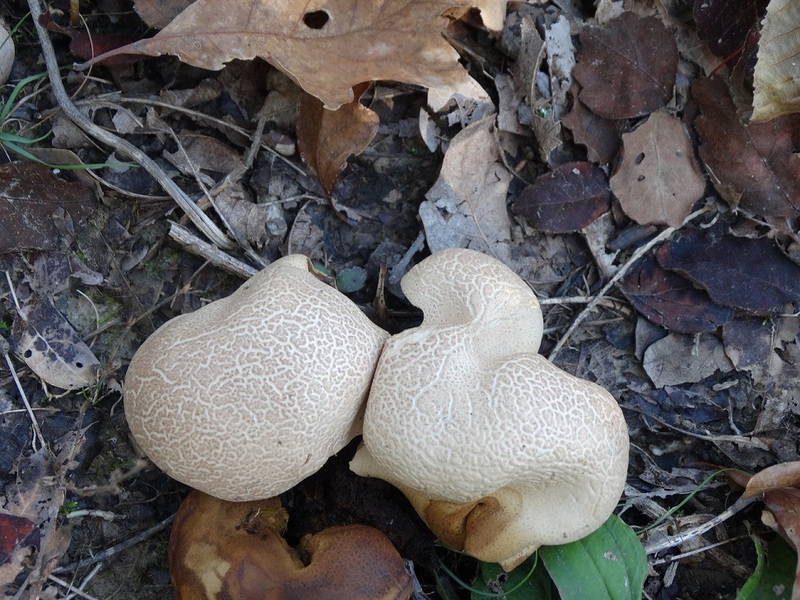 Being in a state park we weren’t able to pick the mushroom to investigate it further, and I can’t find anything that looks like it on Missouri Department of conservation website. 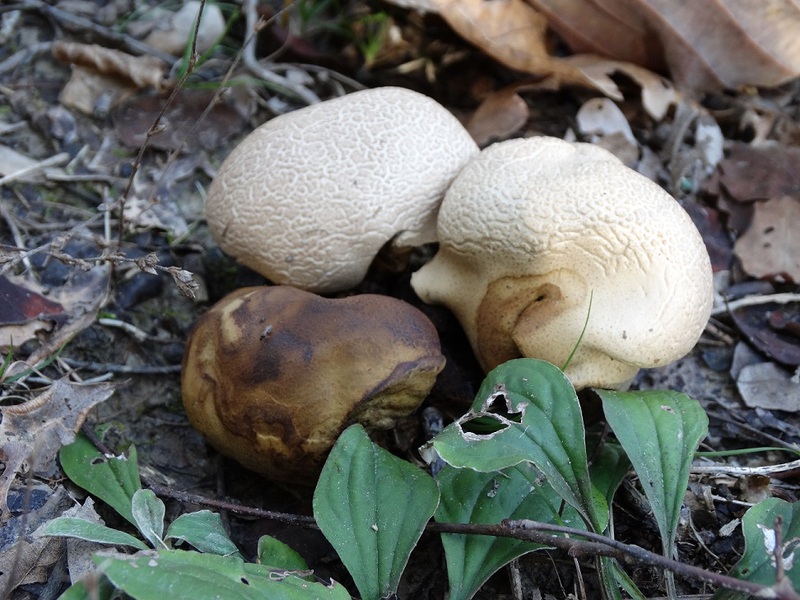 As Glen and I hiked though the woods last Friday we came upon several varieties of fungus. 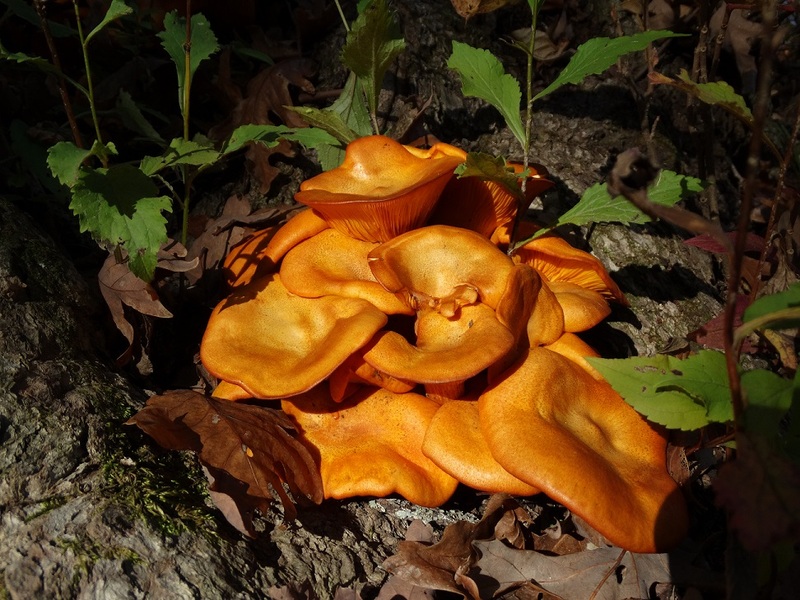 This is the jack-o-lantern mushroom, also known as false chanterelle. The jack-o-lantern is poisonous and can cause moderate to severe stomach upset for several days after eating it. 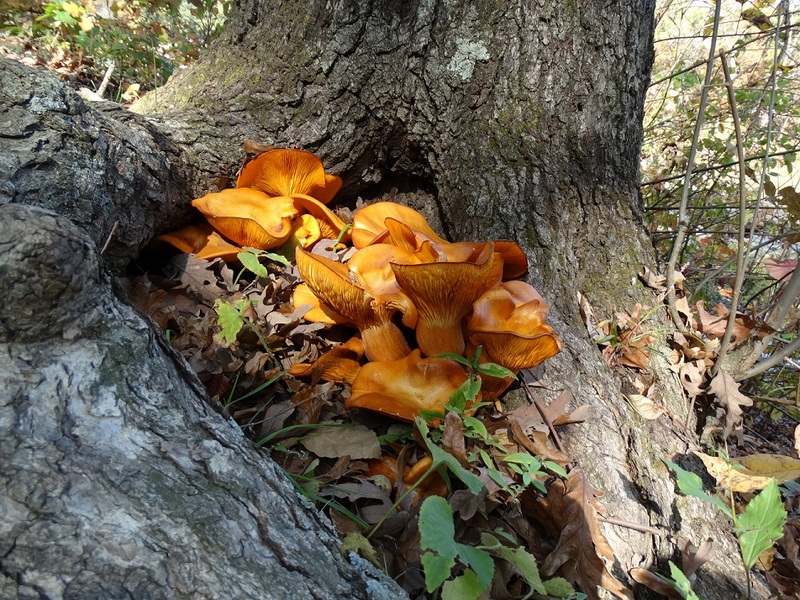 One way to tell the two mushrooms apart is that chanterelles grow singularly and the jack-o-lantern grows in clusters. 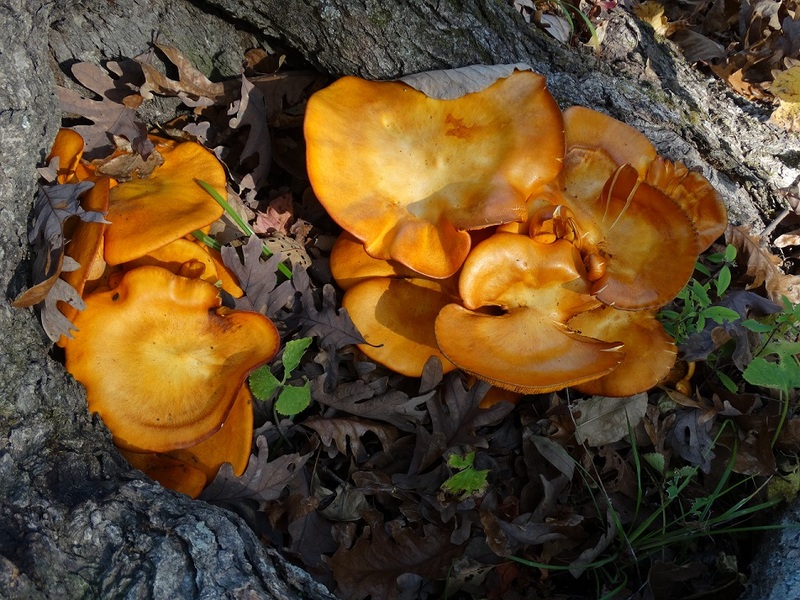 Another way to tell them apart is that the jack-o-lantern have gills that descend the stalk. 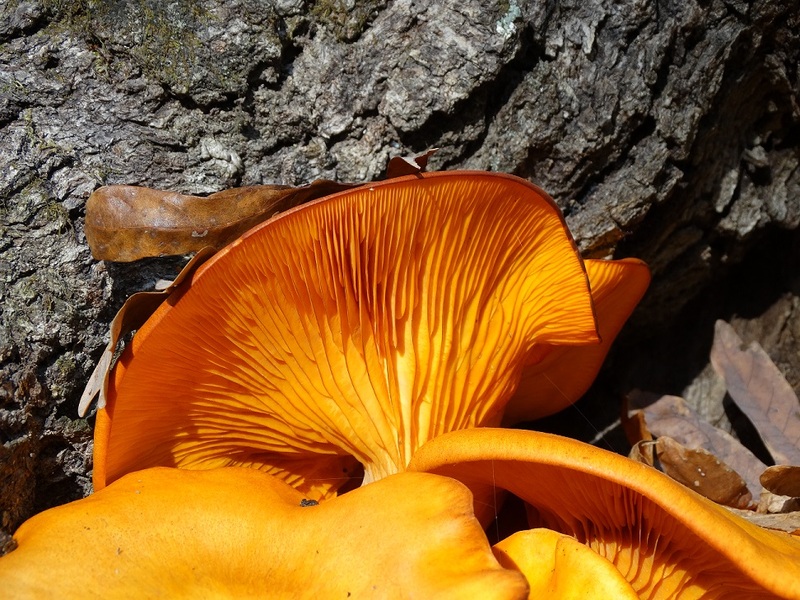 Chanterelles are similar in color but their undersides are smooth with blunt ridges, not gills.